Considering the ongoing clean water crisis in Flint, MI, and other cities across the United States and the globe, children and teens likely have a number of related pertinent questions: What causes water contamination/pollution? How is water affected by weather, plants, animals, and people? Why should they be concerned? And finally, what are people doing about it? The books listed below deal with these questions in a way that is both clear and absorbing. With a combination of reader-friendly, informative writing and outstanding graphic features, these titles invite thoughtful conversations and active responses. Books for little ones highlight the properties of water and how it functions as part of an ecosystem, while selections for older readers emphasize the pressing need to protect the world’s clean water supply, showcase the work of today’s problem-solvers, and offer suggestions for personal involvement. Aimed at preschoolers through high schoolers, here is a fine selection to inspire young people to first think about the role of water in daily life and then consider how to safeguard it for future generations. BANYARD, Antonia & Paula Ayer. Water Wow! illus. by Belle Wuthrich. 64p. (A Visual Exploration). bibliog. chart. chron. diag. further reading. glossary. maps. Annick. 2016. Tr $22.95. ISBN 9781554518227; pap. $12.95. ISBN 9781554518210. Gr 3-6–Child-friendly text and an abundance of visual data (e.g., diagrams, time lines, pie charts, tables, etc.) present essential information on water, such as one’s water footprint, ways to clean polluted water, and more. Neither alarmist nor overly comforting, the book provides a balanced account, while Wuthrich’s bold palette will keep readers turning the pages. LYON, George Ella . All the Water in the World . illus by Katherine Tillotson. S. & S./Atheneum. 2011. Tr $17.99. ISBN 9781416971306. PreS-Gr 3–In this engaging explanation of the water cycle, large colorful spreads combine with language that surprises and delights (“Thirsty air/licks it from lakes/sips it from ponds/guzzles it from oceans”) and also reminds readers that water should be kept clean and not wasted. MCCANNA, Tim. Watersong. illus. by Richard Smythe. 32p. S. & S./Paula Wiseman Bks. Jan. 2017. Tr $17.99. ISBN 9781481468817. PreS-Gr 1–An inquisitive fox is caught in a developing rain storm. McCanna’s spare, onomatopoeic language (“Drip drop/plip plop”) and Smythe’s muted palette combine to gently introduce little ones to the sounds of water in nature using cute animals. A fine choice for an interactive read-aloud with a small group or shared one-on-one. OLIEN, Rebecca. Cleaning Water. 24p. (Water in Our World). chart. diag. glossary. photos. Capstone. Jan. 2016. lib. ed. $25.32. ISBN 9781491482780. K-Gr 2–An introduction to clean water, offering explanations on sources of drinking water, how it is cleaned in water treatment plants, and how wetlands clean water naturally. A simple chronological diagram shows the steps involved in water treatment. Vocabulary words specific to this subject (e.g., reservoir, sediment, and disinfection) are clearly introduced, providing children with the foundation they need to pursue larger conversations on this topic. PAUL, Miranda. Water Is Water: A Book About the Water Cycle. illus. by Jason Chin. 40p. further reading. glossary. websites. Roaring Brook. 2015. Tr $18.99. ISBN 9781596439849. PreS-Gr 3–With detailed watercolor illustrations depicting a sister and brother having fun outdoors, and language that glides off the tongue, this book explores the water cycle as it occurs through the seasons. Heated water turns to steam, cooled steam turns to clouds, low-hanging clouds turn to fog, and so on. Back matter extends the text and explains why water conservation is important. Perfect as a read-aloud and a discussion starter. THOMAS, Isabel. Water: Explore, Create and Investigate. illus. by Paulina Morgan. 64p. (What on Earth?). diag. glossary. index. Quarto/QEB. 2016. Tr $12.95. ISBN 9781682970195. Gr 1-4–Thomas offers multiple paths for investigating water—through poetry and story, hands-on queries, and items to create. Among the many things to make are an iceberg, a cloud in a jar, a rain gauge, a water filter, and a water-powered sprinkler. Simple directions and clearly labeled diagrams are provided. LEAHY, Stephen. Your Water Footprint: The Shocking Facts About How Much Water We Use To Make Everyday Products. 144p. further reading. index. maps. notes. photos. websites. Firefly. 2014. Tr $35. ISBN 9781770854994; pap. $19.95. ISBN 9781770852952. Gr 4-8–Exceptionally lucid, informative prose and an abundance of well-designed infographics present startling data about daily water usage at the local, national, and global level. Sustainability is emphasized with included steps that tweens can take on their own. An excellent book for showing students how to integrate information from text and graphics and apply it to make informed decisions. MULDER, Michelle. Every Last Drop: Bringing Clean Water Home. 48p. (Orca Footprints). chart. further reading. index. photos. websites. Orca. 2014. Tr $19.95. ISBN 9781459802230. Gr 4-7–A global approach to clean water. Some solutions covered include harvesting fog and rainwater, creating water-free compost toilets, and using iron nails to attract the arsenic in water. Color photographs from around the world and a friendly writing style draw readers into this informative book. Includes suggestions readers can follow right away. NEWMAN, Patricia. Plastic, Ahoy! : Investigating the Great Pacific Garbage Patch. photos by Annie Crawley. 48p. bibliog. further reading. glossary. index. maps. notes. photos. websites. Millbrook. 2014. lib. ed. $30.65. ISBN 9781467712835. Gr 4-8–Readers join the trash detectives, three students aboard the research ship New Horizon, as they investigate the Great Pacific Garbage Patch—millions, perhaps billions, of pieces of plastic floating together in the ocean. Are the chemicals in the plastic poisoning the water? Are fish eating this plastic? Does the plastic affect the food chain? Informative color photographs and clearly written text show research in action. KALLEN, Stuart A. Running Dry: A Global Water Crisis. 64p. bibliog. chart. further reading. glossary. index. notes. photos. websites. Twenty-First Century. 2015. lib. ed. $33.32. ISBN 9781467726467. Gr 8 Up–A sobering account of the worldwide threats to clean water, the steps being taken to safeguard it, and the need for more protections. Problems raised include pollution from large-scale animal farming, massive water withdrawals from aquifers, and the use of fracking to extract gas and oil. The author argues that we cannot afford inaction. Kallen’s argument is well supported by facts, photographs, and quotes from various stakeholders. 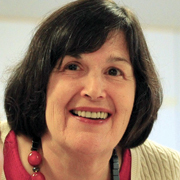 Myra Zarnowski is a professor in the department of Elementary and Early Childhood Education at Queens College, NY. 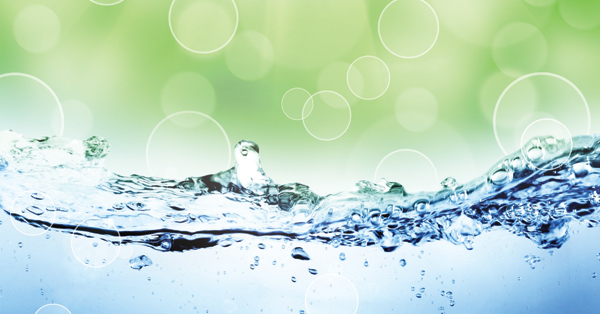 Discover Water: The Role of Water in Our Lives. www.discoverwater.org. Project Wet: Water Education for Teachers. Gr 3-5 –A child-friendly site that lets kids explore, learn, and test their knowledge. Includes videos and suggestions for keeping a science notebook about topics such as fresh water, the water cycle, the ocean, watersheds, and more. Project Kaisei. https://projectkaisei.org/ Gr 4-8 –The official website of the project documented in Patricia Newman’s Plastics, Ahoy!, featuring a list of 27 YouTube videos of scientists from the book—Miriam Goldstein, Chelsea Rochman, and Darcy Taniguchi—aboard the New Horizon as they explored the Great Pacific Garbage Patch. The U.S. Geological Survey’s Water Science School. https://water.usgs.gov/edu. The U.S. Department of Interior. Gr 3 Up –Various aspects of water, from properties and qualities to different types (surface vs. ground water), are covered along with a photo gallery, an interactive water cycle diagram, activities for kids, and materials for teachers. A full-length play for third and fourth graders is also provided. Links to Spanish and Chinese translated versions are available. Water: H2O=Life. http://www.amnh.org/exhibitions/water-h2o-life/promos/for-educators-water. The American Museum of Natural History. Educators –Useful materials for units on water include a teacher’s guide; water-related activities; discussion questions for kindergartners through fourth graders, fifth through eighth graders, and ninth through 12 graders; student worksheets; and additional readings. Though the site was designed for educators to use in conjunction with the exhibit, much of the free resources can be adapted to suit individual needs. Thank you SLJ for promoting these many titles that help children learn about the importance of having clean water to drink throughout the globe. However, in my personal experience many middle-grade students ignore a nonfiction title in favor of a fiction book, because they get hooked on story. For that reason, I felt it necessary to integrate the issues of preserving our natural ecosystems within the main character's personal experiences. It is a more subtle approach to learning, but hopefullt the "lesson" learned by the experience of the story's character, might stick with a child. Especially if they enjoy a fun, fast read while receiving the true message at the same time.